You know a film is incredible when it has the ability to make you laugh, cry and leave you questioning the world around you. “Manchester by the Sea” was truly one of the most phenomenal pieces of cinema I have ever viewed. It is a heavy drama that explores the theme of loss, and the complexity of relationships, hope and love. The Guardian, a British daily newspaper, said the film was a “minor-key masterpiece” and described it as “inexpressibly sad.” The movie starts with the introduction of Lee (Casey Affleck) as an angry janitor living in Boston. He goes back to his hometown shortly after the death of his brother only to find out that he is now the legal guardian of his brother’s son. He was resistant to take on the role, at first, but eventually accepts and moves in with the boy. As the plot progresses, the audience discovers that Lee had previously experienced a terrible tragedy that forever changed his outlook on life. This movie proved that one simple, careless mistake has the ability to change the entire course of a person’s life. It makes you think in depth about your own life and how anything can happen to anyone at any time. Trust me, this film will rip your heart out and tear it to a million pieces. And, it is amazing. If you are a foodie, you know that San Diego is home to some of the best eats in the country. There are numerous restaurants, juice bars and eateries all over the city – too many to count! Being one of the most health-conscious and sustainable-minded cities in Southern California, San Diego is known for its trendy vegan food spots. 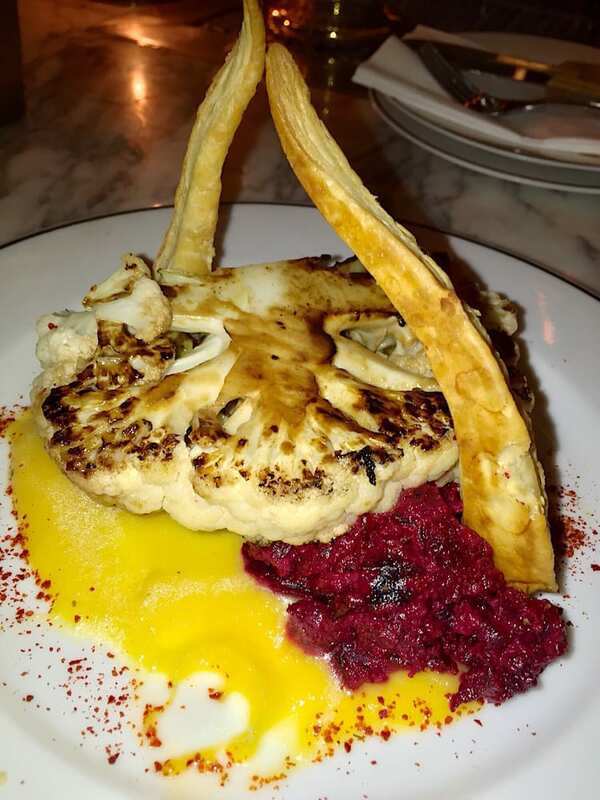 In the small, hip neighborhood of South Park, an eclectic vegan restaurant, called “Kindred,” opened last year. On St. Patrick’s day, my friends and I were debating where to get dinner. One of them had heard about Kindred and suggested that we check it out. Little did we know that we were in for a huge treat – this restaurant exceeded our expectations in every possible way. The design, the decor, the ambiance and the food, of course, were out of this world! The design was a twist of airy, feminine, modern and vintage all in one. Intricate, pink wallpaper lined the sides of the restaurant and a pattern of mirrors covered the ceiling. A huge, beast-like creature was mounted on the wall above an individual booth, and flowers and candles were strategically placed on mantels along the walls and tables throughout the restaurant. There were no windows, but KINDRED was completely open to the crisp, evening air. There was social bar seating, intimate table seating and comfortable booth seating. Overall, the restaurant had an edgy but elegant feel. It was packed with people, so it was pretty noisy. There were many different conversations going on and music was playing in the background throughout. It felt very upscale, but the prices were reasonable (around $10-$15 per person) for the quality of food that was served. Kindred had great service and plenty of accommodations. As I mentioned earlier, the food was TO-DIE-FOR. I would even recommend this restaurant to meat lovers, because some of the dishes actually tasted like they were made out of real meat. The flavor profiles were amazing and there were so many unique entrees to choose from. I personally loved the “chargrilled seitan skewers” with chimichurri (green sauce flavored with parsley, garlic, oregano and red pepper), horseradish aioli, and harissa (pepper paste). Seitan is imitation “wheat meat” – condensed gluten that tastes like meat when cooked. Some of my friends have never tried seitan before and were amazed by this product. They said they couldn’t taste the difference between it and actual meat. A few other entrees we tried included a grilled cauliflower dish with three sauces on the side, and a huge salad bowl with quinoa, beets, sweet potatoes and other veggies. I highly recommend this restaurant to anyone who is looking for an affordable fine-dining experience. And if you’ve never tried vegan food, this spot should be number one on your list. It’s life changing. Signs of spring are beginning to appear all over San Diego, especially on the Ho Chi Minh trail. This hike is absolutely stunning, no matter the weather. There is a small path that takes you through lush, green mountains, which are filled with all sorts of wildflowers. The trail leads you to the top of a mountain where you can see in all directions for miles. There are beautiful rock formations and views of the ocean, and the wildlife is plentiful. I would highly recommend this hike to anyone, because although it has its ups and downs, it is not very rigorous. Torrey Pines is the perfect place to take a hike, run or casual walk at anytime of day. There is a dirt path along the side of the mountain that allows you to walk for a few miles with a wonderful view of the ocean. It is a great place to watch the sunrise or sunset because of its panoramic views. Torrey Pines has never failed to impress me. I have visited on both scorching hot summer days and foggy winter mornings, and been equally amazed. In the summer, the water turns this crystal-clear aqua color. It’s quite a sight, and you should witness it if you get the chance. In the winter, the crisp breeze keeps you cool and calm throughout your hike. 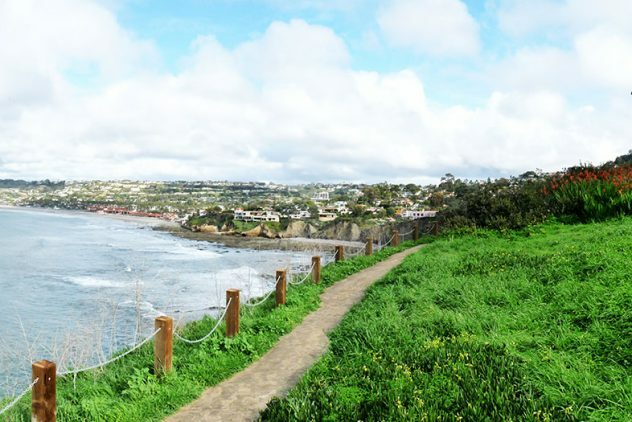 Even though La Jolla Shores can be a pretty touristy area, this trail is off the beaten path – truly a hidden gem. The hike begins by the entrance to the cave, on La Jolla Shores Drive, and continues across the side of the mountain for a ways. Walking on this path, you are surrounded by lush green grasses and as you look left, you can see the ocean and the rest of La Jolla. In the spring, there are tons of wildflowers alongside the entire mountain. Come here next time you want to take a walk, clear your mind or enjoy a sunny San Diego day. Images from www.sandiegomagazine.com and by Rachel Joseph. Spring break is almost here! With that in mind, I’ve compiled a list of road trip ideas for those of you that don’t have plans. Photo by Edward Stojakovic. Click image to view source. Image is unchanged. If you haven’t visited Yosemite National Park, put this place on your bucket list right now. Yosemite is home to some of the world’s most stunning landscapes, including Half Dome (a giant rock formation), El Capitan (another gigantic rock formation) and a ton of natural waterfalls, rivers and meadows that take your breath away. The serene beauty of this place is unparalleled on Earth. One of the best times to visit Yosemite is in the late spring or early summer, because that is when the fresh snowmelt runs into rivers and creates enormous waterfalls that pour down the mountains. 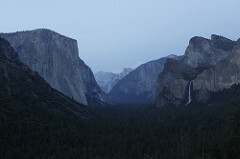 If you are looking for an active destination, Yosemite is the place for you. There are numerous trails that anyone can hike, bike, run or swim. In Yosemite you can just enjoy being immersed in nature. Photo by Paolo Gamba. Click image to view source. Photo unedited. License. Looking for somewhere sunny and 75? Malibu is just the place for you. 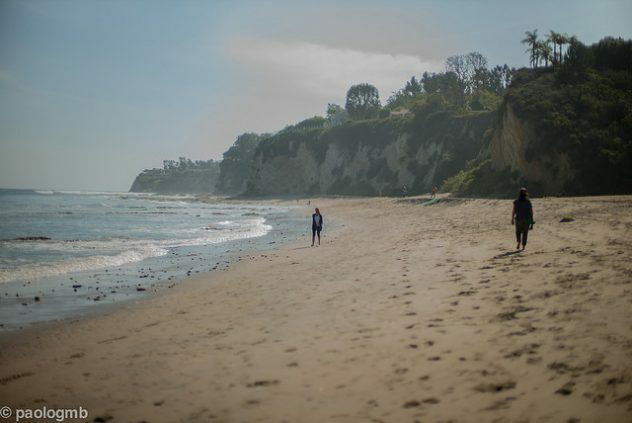 Malibu is home to some of the most beautiful beaches along the coast of Southern California. This place is truly a gem. Although the water gets pretty cold around the winter months, it starts to warm up around early April/ May, and by summer it’s ready to be enjoyed by all the beach goers. 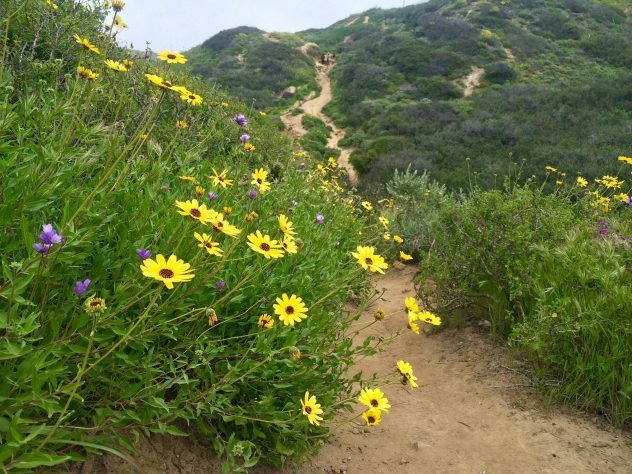 If you want to explore Malibu a bit more when you visit, you can also check out the hikes in the area (which have AMAZING ocean views), many trendy shops and yummy restaurants. Photo by Damian Gadal. Click image to view source. Photo unchanged. License. 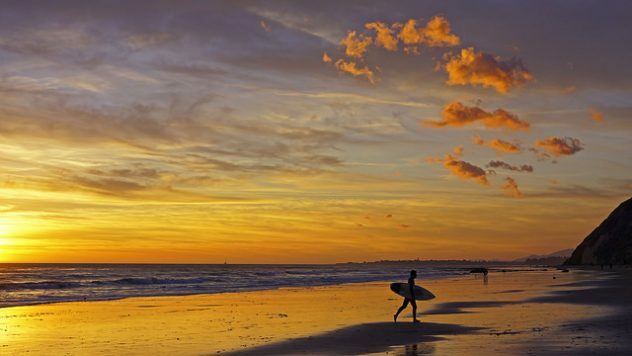 Santa Barbara is yet another beautiful coastal destination for a road trip. When visiting Santa Barbara, there are two approaches you can take: you can hit all the touristy spots including the pier and shops along State Street, or you can explore and venture north a little into Goleta, which has some beautiful lesser known sites. Some of my favorite spots are Hope Ranch Beach, the Goleta Butterfly Preserve and Lotusland. Featured Image (red van) by heyesther. License.